Data Driven or Opt Out? 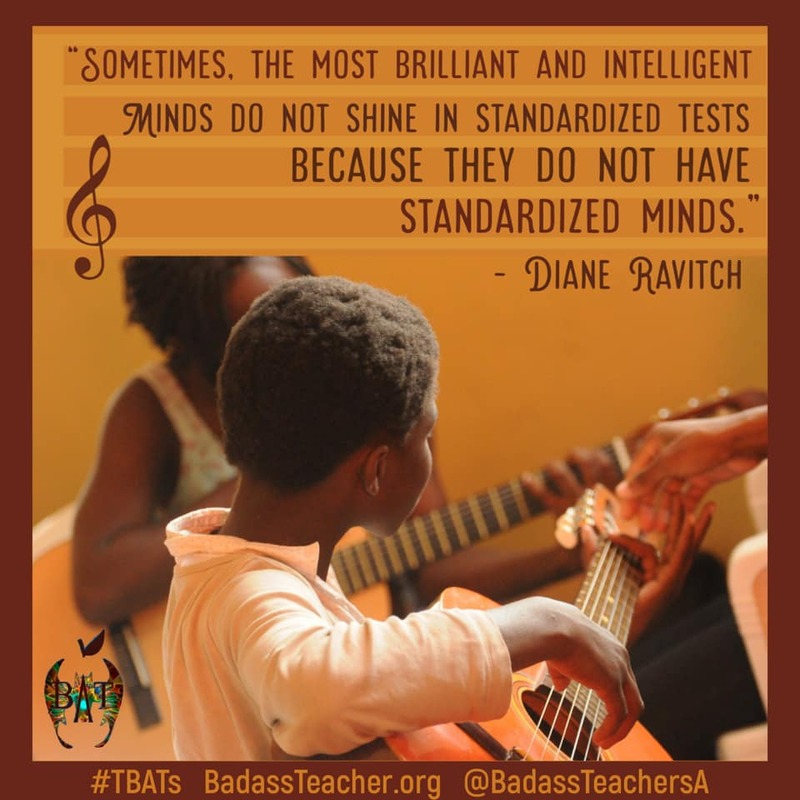 New school board members on the horizon – will they know enough to combat the testing mania? We haven’t heard from any of the present board members on testing, except Paul Anthony. Certainly there are huge, huge reasons to work against the Smarter Balanced testing which Oregon has each of its schools use. The largest of which is it actually harms some children, while not directly helping any child’s education. A sensible response to this would be to de-emphasize the testing. Figure out ways to make it less intrusive, less damaging, less important. There are lots of things that could be done, small nuances of showing its underlying lack of importance. But instead of choosing what is most often best for children our administration and board have increased the testing’s importance by advocating for becoming a data driven district and sending out blatantly absurd missives which tell how important it is to score well and to combat things which might reduce our scores, like opting out. 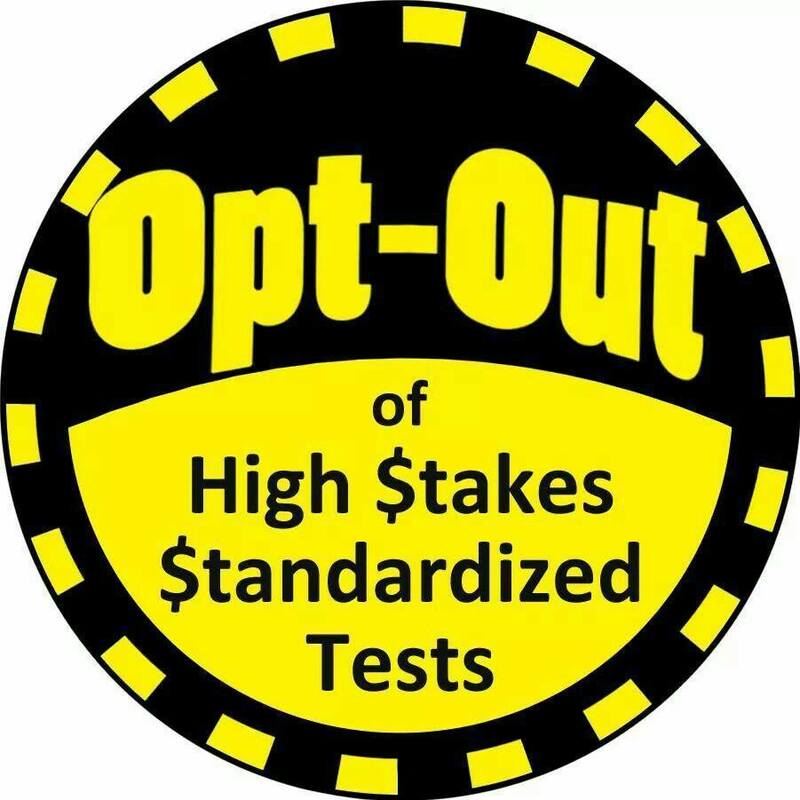 One of the reasons for a district to take this tact is a misunderstanding of what opting out is working to accomplish – a more useful system of testing which gives a snapshot of how children and the district are doing without the mind numbing pressure, the zip code controlled failure, the anti-child curricular effects, the massive waste of time and resources. Opting out is saying we can do better by our children, while our district is saying we don’t care, this is how the game is played, to hell with your child. You choose, do they really think this, or are they just following along because it is simpler? If we are to be a data driven district then why aren’t we opting for something with good and useful data? We are all in this for children, right? Then why are we so willing to do things that harm them in the name of them? We are destroying the village in order to save it. Beaverton Business Man, Parent Responds to Oregonian Editorial Board: "SBAC tests are neither good data nor useful data." The Oregonian recently published an editorial suggesting that parents who opposed high stakes standardized tests are fighting against the community good. But I was disappointed by the editorial’s logic and lack of respect for the problem of relying on SBAC test data. For background, I’m a trained and experienced applied mathematician and have used data to manage human oriented programs for 25 years (advertising, marketing, etc). 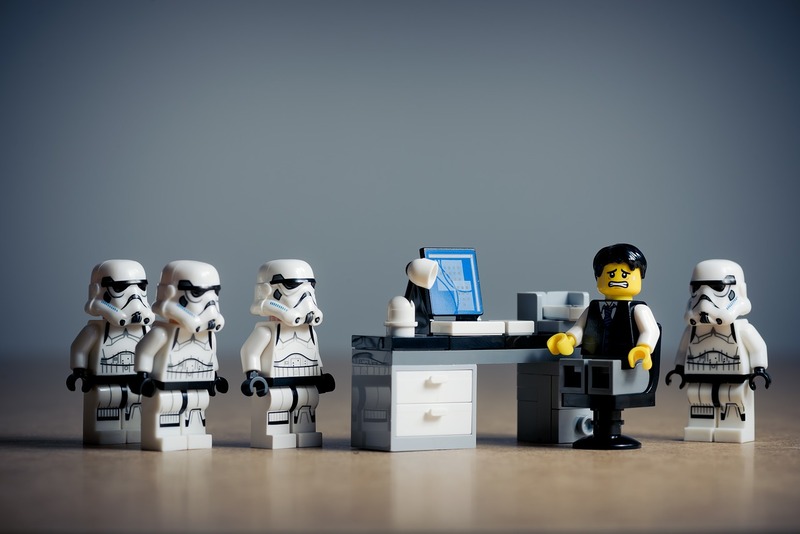 In my role, I’ve had to rely on data to deliver $1B in revenue for clients and my clients have included a large number of the Fortune 100 companies. The error is that the editorial presumes that SBAC tests are “good data”. There’s little evidence to support this. Standardized tests have become a focus because they are the ONLY data available in standardized ways - not because they are the data that’s needed. 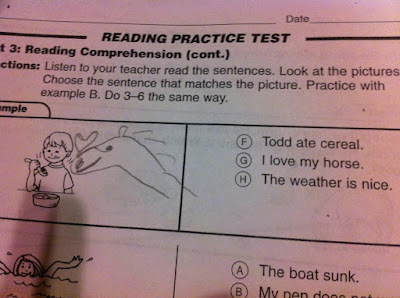 Tests of this sort are able to evaluate (at most) only about half of what we need kids to learn in any subject area. Consider writing. We need kids to learn to communicate effectively in writing. While grammar, spelling, and word knowledge are important they are barely a start. To write effectively they have to (a) know what they think, (b) be able to choose effective ways to communicate it and (c) be able to put that into understandable written form. Grammar, spelling and word knowledge are only part of the (c) - and only part of item (c). While there have been claims that SBAC evaluates this, it doesn’t. Students be given a subject that interests them. That they be given time to think and explore the topic to arrive at a point of view. That they be given time to ponder that point of view and sort out how to communicate in writing about it. That their writing be evaluated by a real human being who spends 20 to 30 minutes reading what they write in order to establish an effective grade. Unfortunately, SBAC is primarily graded by machine. When it’s graded by a human the standard appears to be 2 minutes grading per answer and graders are given incentives to do that grading faster. In other words, SBAC doesn’t even come close to effectively grading writing. It’s a superficial test - which means it’s bad data - not good. ALL subject areas (tested or not) are generally about half of what we need students to learn at school. It’s far more critical that they “learn to learn”, “learn to study”, “learn to explore issues”. Even more critically, we need them to take issues and areas where there are NO answers known and be able to construct effective ways to explore those. We need phys-ed, music, art, drama, business, etc. SBAC tests evaluate about 12.5% (1/8th) of what we need schools to deliver. SBAC tests are neither good data nor useful data. They are simply data and they fill vast computers in ways that allow silly little superficial reports to be sent home. 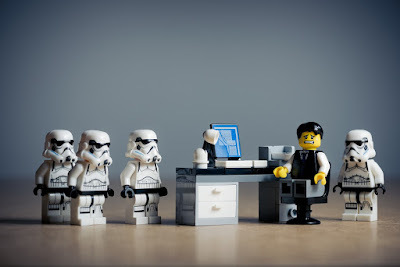 Administrators probably love the data - because administrators don’t demand data be good - only that it be present (this observation is about every industry including, I expect, the newspaper business). The role that your newspaper and the Oregon Department of Education give them in discussion misleads the public into believing they are highly meaningful. My bottom line is we are in a position where society (and PPS administrators) WISH there was an objective way to rely on data to evaluate schools. There is not that opportunity. Unfortunately, PPS has chosen an Orwellian claim that bad data is good. 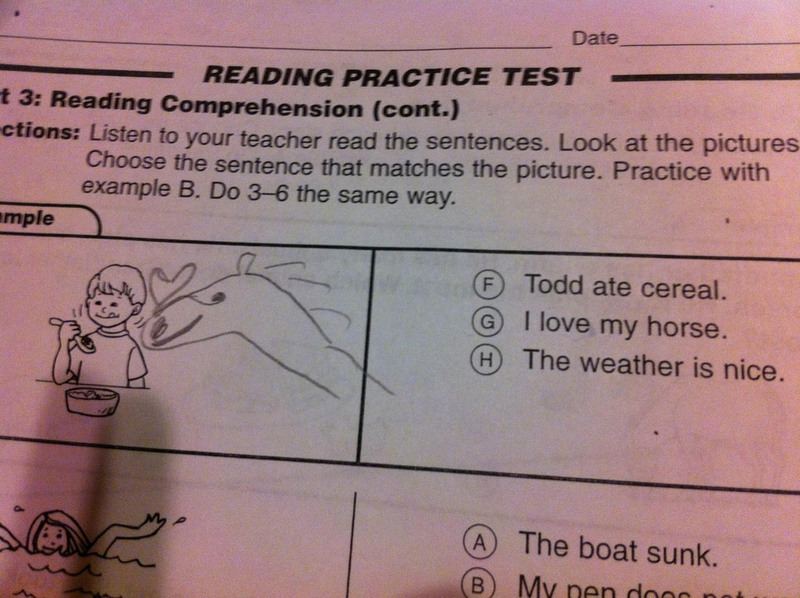 There are other ways to evaluate schools. And parents, despite complaints you might hear, do know how well their kids are doing. But parenting is difficult because in middle school years, there’s no way to be certain that the hormone driven mess who is their child will turn out to be successful in life. What other ways? Grades and teacher evaluation of children. Many colleges, a constantly increasing number, have dropped any use of SAT or ACT in admissions and rely on grades. They have found that grades are a far better predictor of success than standardized tests. This is a REAL WORLD example and they have made this choice based on observing what happens. From Flickr: "When my son takes standardized tests"
Seven Years Later, a Former OEIB Member Catches Up. Let's hope she's finally catching on. We at Oregon Save Our Schools were surprised yet pleased to see that former member of the Oregon Education Investment Board (OEIB) Whitney Grubbs has finally taken our advice from 2012 and decided to go take a look at education in Finland. Grubbs was also Deputy Education Policy Advisor to former governor John Kitzhaber, who helped usher in many corporate driven education "reform" policies here in Oregon. One of our OSOS members, Emily Crum, classroom teacher and former President of Reynolds Education Association, who is currently on sabbatical for study as a winner of the Fulbright Distinguished Award in Teaching, has also been to Finland. We asked Emily to write a response after reading Grubbs' recent opinion piece (written jointly with other authors) which appeared on Oregon Live a few weeks back. We thank Emily for taking the time out of her extremely busy schedule to do so. Her response has was submitted to The Oregonian. You can also read it below. Yes, let’s put children at the center of how we make education policy and reform in Oregon. I am happy to welcome Whitney Grubbs, Kali Thorne Ladd, Matt Morton and Vanessa Wilkins to the Finland party on education. And would like to reiterate the final sentence from their recent opinion piece “Looking to Finland to improve Oregon’s Schools”. As an educator in the Reynolds School District for over 10 years, working with students in early childhood at our most underserved schools in the state, I feel like I have had my share, if not more than most, of “courage, responsibility, and sacrifice.” I also went to Finland in 2015 for a summer school course titled “Myths and Realities of the Finnish Educational System.” For three weeks in August I sat in a room with educators from around the world discussing not only the Finnish educational system, but education globally. We visited Finnish schools, read about current Finnish educational issues, and saw the benefits of much that is highlighted in the Oregonian’s recent opinion piece. Students are at the center and children overall are respected in Finland. Teachers are given a lot of autonomy and held in a respected light culturally. Health and well-being are definitely tied to academic success, but not just stopping there, they are considered important for success overall. At that moment, in my mind I begin to ask, “Well what am I doing here?” Because that is what was and is happening where I work. I think it is dangerous to try and adapt a model or educational system from one country to another. We are not identical in needs or services. I do think we can still learn from each other, but the take-aways must be student centered, focusing on who are our students and what are their specific needs. That was my biggest gain from Finland. Local needs must be identified, acknowledged and addressed in a problem-solving manner. But above all we must direct resources to serve those needs. I just recently returned home from three months of traveling. I visited friends, who I made during my course in Finland, in Egypt and Nepal. I went to their prospective schools and observed their classrooms. I believe and practice being a life-long learner. I set off this next week to New Zealand on a Distinguished Award in Teaching Fulbright Grant to study how New Zealand Schools implement whole-school restorative practices with long-term planning and professional development. An initiative that Portland Public Schools just reduced in their own budget. 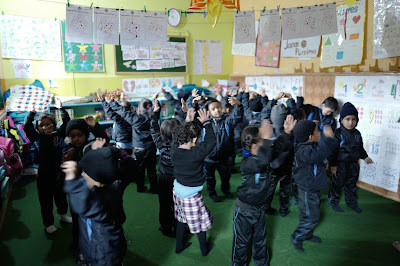 At my friend’s school in Nepal, he shared with me his biggest take-away from Finland was to add more arts into his students’ day. All children at his school have art, music, and dance classes. They have a full time librarian and a library filled with English and Nepali books. The school is full of joy. Teachers are eager to learn and given the time to do so with co-teachers in every classroom. Leadership at his school allowed for growth and shifted resources to support the arts. Key word here: “resources.” Throughout my time in education in Oregon, from being a student in Portland Public Schools to a Restorative Justice Behavior Specialist in Reynolds Public Schools I have seen a decline in resources, and lack of funding where it truly matters. IF a child-centered classroom was what we REALLY wanted in Oregon, we would shift what we fund and why. We would have fully stocked classroom and school libraries, with actual librarians. We would fund arts: music, dance, theater and visual arts. 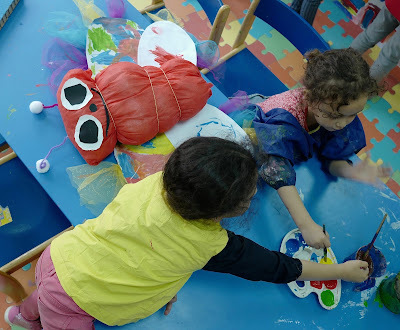 We would encourage and provide professional development allowing for play-centered learning in early childhood. We would provide universal preschool. We would have funding for physical education and after school sports. We would fund needed counselors and support staff working with students. We would provide more professional development and support for culturally-relevant teaching practices. I remember the student-centered education of our public schools in Oregon in the eighties and nineties before No Child Left Behind. We know what would help our students. I don’t need to go to Finland or New Zealand to find that out. I spent the last 10 years filling a classroom with books I bought in order to have a culturally relevant library of high interest texts. I sought out my own group of early-childhood educators who support and understand the value of play. I wrote my own professional development centering on restorative practices for the Fulbright Grant in order to go and hopefully to see what long-term planning and professional development support does to change a school culture and community. That was my own teacher autonomy fighting to swim upstream everyday. The same autonomy that makes me a teacher who speaks up constantly for the students I know need various supports and are not receiving them. *Opinions stated in this piece are mine, not in connection with any organization I am affiliated with. Today we publish the final in a series of three letters that went out to the Portland Public Schools community. The first letter we published was the letter sent out to parents and the second was the letter sent out to staff. Today's letter was sent out to principals. Deputy Superintendent Yvonne Curtis made it clear to in her letter to teachers that they are not to speak to parents about opting out. Curtis makes it clear in the letter below that it is the principals' responsibility to "ensure effective administration of all assessments" and states, "I look forward to measuring our improvement in the area of participation in these critical assessments." In summary: Parents are being misinformed about the value and purpose of the assessments. Teachers are being told to keep quiet if they disagree with Curtis's message about the value and purpose of the assessments. Principals are being told it is their responsibility to make sure that participation is increased. Curtis's insistence that these assessments are "critical" is laughable. They are a time, money, and energy drain on our school system. Fortunately, parents don't work for Portland Public Schools. Yvonne Curtis cannot fire parents or put a blotch on their employment files. 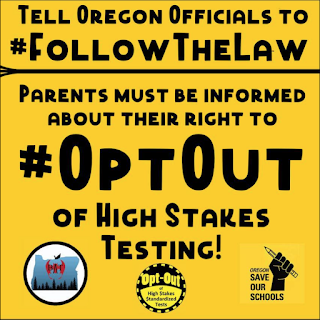 Parents, YOU HAVE THE RIGHT TO OPT YOUR CHILDREN OUT OF THE SBAC ASSESSMENTS! Opt out to send the message that we want an assessment system that is a more effective, authentic way for students to demonstrate what they have learned. Standardization does not equal excellence and your children should not be subjected to a battery of assessments, beginning in third grade, that rivals the Oregon State Bar Exam in length. 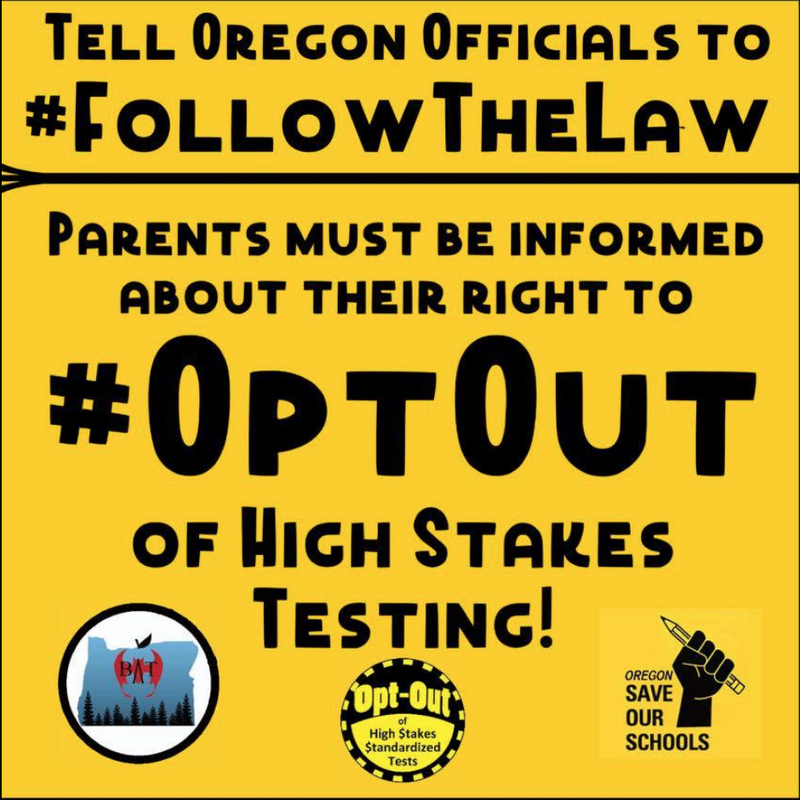 Find the state Opt Out form here. And sign on to our Action Network letter, written in cooperation with Oregon BATs, to the Oregon Department of Education, the Governor's office, and the Attorney General's office to tell these officials that top down bullying and coercion tactics in our schools are not acceptable. Principals and teachers are professional educators whose opinions about the value of specific curricular and instructional activities, as well as how students are assessed, should be listened to and respected even when they do not agree with those of administration. One really has to question the motive behind administration attempting to silence and demand complete conformity from professionals who actually spend their days with students. Read the letter to principals below. I have prepared a letter to staff regarding their questions and our expectations about the MAP assessments. In this letter, I provide some information about our PPS Quality Assessment Framework. Please see the attached letter to make sure you understand what the questions have been and can assist with clarifying the answers to the questions and the district expectations regarding administration of the winter and fall administration of these assessments. delivering a consistent and accurate message. educational decisions and resource allocation. value of receiving this kind of data. careful attention to the information that will be forthcoming from our assessment department. step forward in becoming a data-driven district. Yesterday we shared Deputy Superintendent Yvonne Curtis's letter to PPS families. As promised, today we share the letter that was sent out to PPS staff. 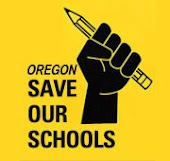 We at Oregon Save Our Schools find its tone extremely troubling as it appears to be an attempt at intimidation of teachers who hold differing opinions from administrators. We really thought we had moved past that in Portland when it comes to the Big Test but apparently we have not. Although PPS Administration does not appear to hold the belief that teachers are valued professionals who have the right to express their professional opinions regarding curriculum, instruction, and assessment, we would like to remind them that teachers continue to be United States Citizens with First Amendment rights to freedom of speech, particularly political speech, which this whole testing system debate most certainly falls under. We hope that the new administration at PPS does not attempt to violate those rights nor to test the solidarity that Portland parents and Portland teachers have shown in the past around issues that affect students. And please sign on to our Action Network letter to Oregon officials asking them to make it clear that tactics of bullying and intimidation are not ethical ways to increase participation in statewide assessments. Maybe Oregon officials should try creating an assessment system that people don't hate if they want more people to participate. Read Curtis's letter to staff below. Tomorrow, the letter sent to PPS principals. questions from parents and families. receiving this kind of data. Administrators are expected to provide parents and families with information about how SBAC results will be used to inform decision making and resource allocation in the future. Administrators should share the district's position about the value of state assessments and the importance of gathering data. Administrators are responsible for ensuring successful administration of state assessments in their schools. Please see the attached letter that will go to parents today. Thank you for your commitment to serving our students.